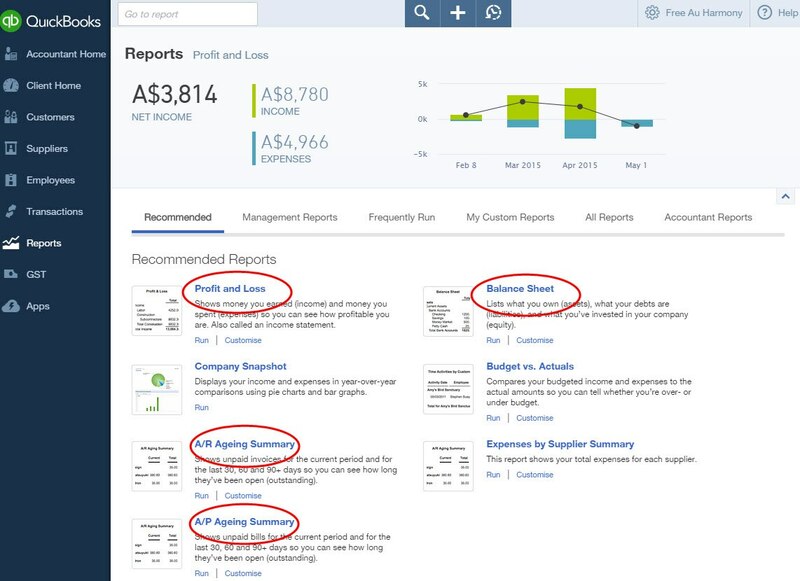 EOFY Seriously Easy now that I’m using QuickBooks Online! Pre QuickBooks Online we had our desktop-based accounting software packages, which required obtaining a copy of the client file. It really wasn’t fun transferring back and forward, either by way of backing up the clients file on a CD to work from the office, using drop-box transfers, USB stick and then most of the time we had a deadline to get the file back to the client which placed restrictions on their workload and more stress load on us to get this completed. QuickBooks Online allows you to do this work on the live online file from anywhere, at any time without inconveniencing you or your client, and no stress attacks to complete ASAP love that. This will speed up your workload at EOFY immensely, no waiting for the file or waiting for the backup file – you can commence finalising all year-end procedures from End of Year reconciliations, PAYG summaries, TPAR’s for the construction industry, reporting to the accountant for financials required for your clients’ tax returns, and of course lodging BAS with the ATO. 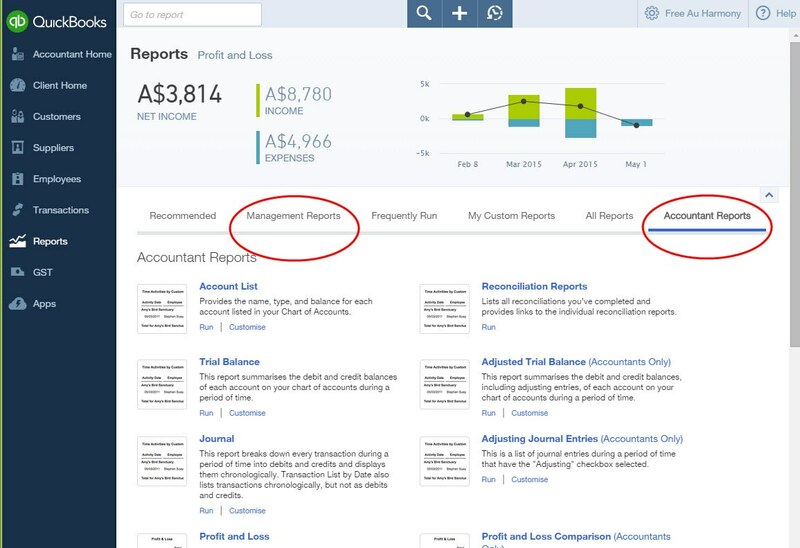 The reporting available in QuickBooks Online makes our process of locating errors quicker and easier, such as the General Ledger report found in the Accountant Reports (some of these reports are only found in our QBOA login as an Accountant), tailoring via customising reports. With Management Reports, now I can present reports to clients looking professional – Easy! And I can’t forget to mention, no more rolling over of financial years, no more rolling over of Payroll and having access to as many financial years in the file. For some tips and advice, check out our EOFY Guide and EOFY Checklist. Reconciling all the various bank and credit card accounts checking that clearing accounts such as Payroll Clearing accounts are at zero as at June 30. This ensures the accuracy of your bookwork and also verifies that all transactions on your bank, credit cards, and loan accounts have been entered and match to your reconciliations. To read more about how to reconcile accounts see our EOFY Guide. Once reconciliation of all accounts has taken place, then you can be assured of the accuracy of all transactions that have been entered throughout the year. Write off Bad Debts. Once the debtors have been reviewed & bad debts decided, you then need to reflect this in QuickBooks Online. Reconcile & Revaluation of Foreign Currency Debtors & Creditors. If the business has multi-currency you may have foreign debtors (receivables) or creditors (payables), that you will want to make sure that, the year-end balance of these accounts in each foreign currency, is valued at the correct financial year end exchange rate this way the balance sheet truly reflects the home currency being our Aussie currency. Review Returns or Unapplied Credits & Unbilled charges apply to Invoices or clear them out. For more help with this, see our EOFY Guide. Reconcile any unpaid super to the balance sheet > Super Liability. Reconcile unpaid PAYG withholding to Balance sheet > PAYG withholding. Reconcile Inter-Company loans and ensure balances are the same in both inter-company QBO files. Write of Obsolete Stock after stocktake check stocktake balance against inventory balance. GST on Accrual Basis GST on Cash Basis back to the balance sheet. Review all assets purchased and sold during the year. Provide the reports to the client using the Management Reports. And lastly close the Books for 30th June.